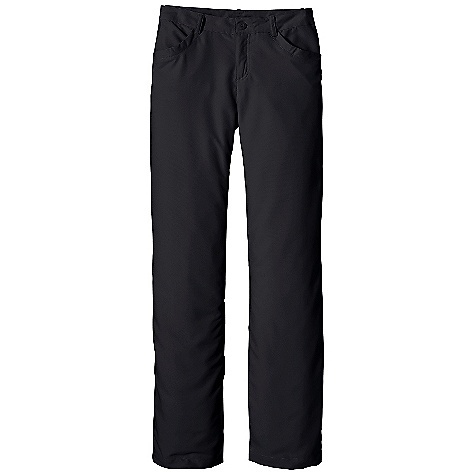 Versatile enough for town or stream, Patagonia's new Fall River Comfort Stretch Crops are made from a stretchy, lightweight and durable 88% polyester/12% spandex blend with a DWR (durable water repellent) finish that sloughs off moisture and speeds dry times. 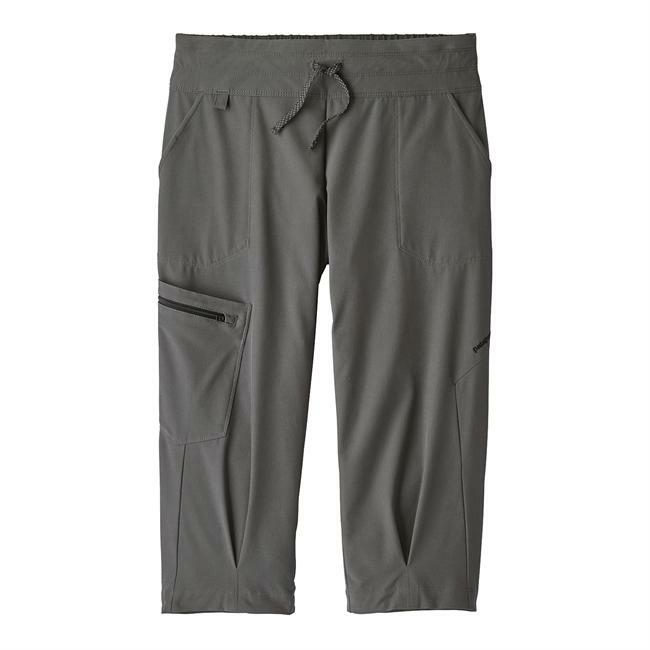 With a fit thats close to the body but slightly more relaxed than leggings, they have an elastic waistband with adjustable drawcord for comfort during long stints at the oars. 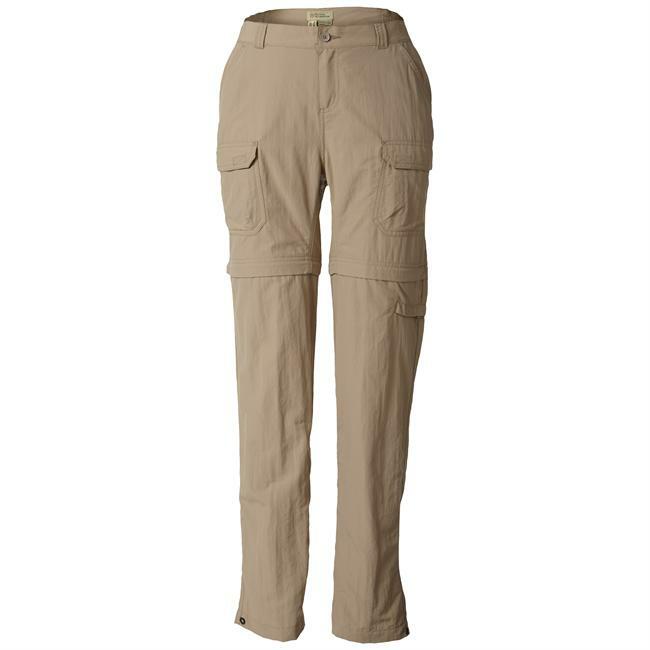 Two on-seam side pockets; the right thigh has a drop-in pocket with zippered security pocket to hold sun mask, fly box or other small essentials. Versatile enough for town or stream, our Fall River Comfort Stretch Crops are made from a stretchy, lightweight and durable 88% polyester/12% spandex blend with 50+ UPF sun protection and a DWR (durable water repellent) finish that sloughs off moisture and speeds dry times. 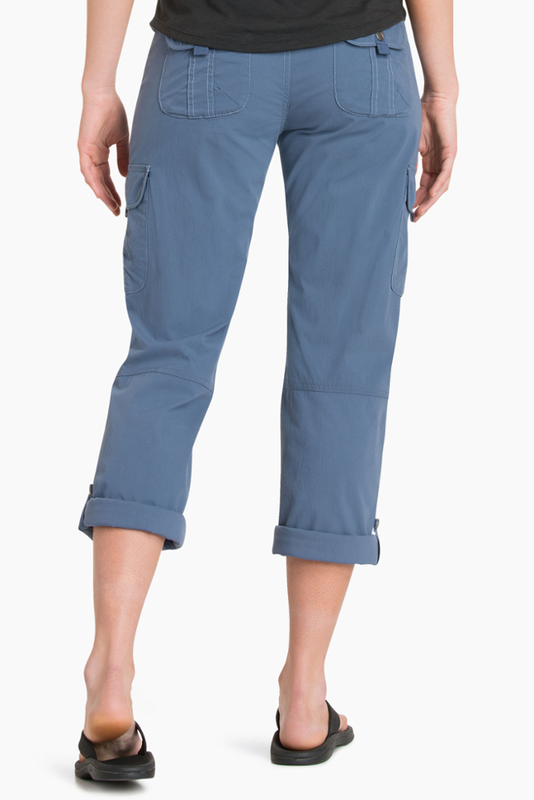 With a fit that's close to the body but slightly more relaxed than leggings, they have an elastic waistband with adjustable drawcord for comfort during long stints at the oars. 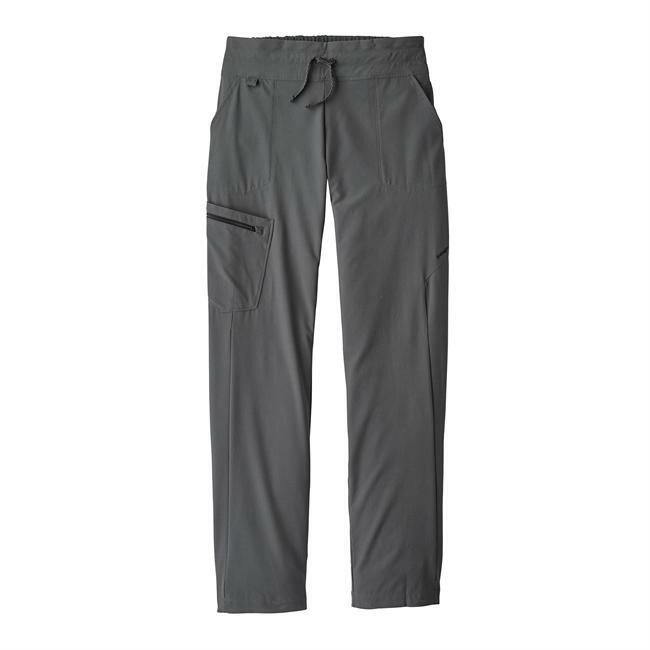 Two on-seam side pockets; the right thigh has a drop-in pocket with a zippered security pocket to hold sun mask, fly box or other small essentials.